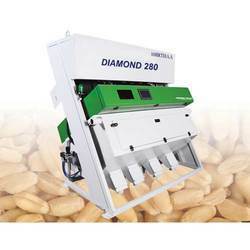 We are a well-recognized name that is affianced in offering our valuable clients an effective quality Wheat Sorting Machine that is capable of detecting even the slightest discoloration in rice, pulses and other grains. In line with industry norms, offered sorting machine is precisely manufactured utilizing the best quality components and innovative technology. Moreover, this sorting machine is tested on various quality measures so as to ensure its quality. Keeping in mind different needs of clients, we offer this sorting machine in various technical specifications. 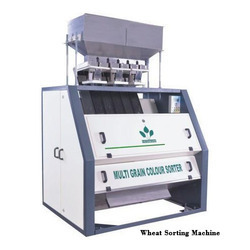 Looking for Wheat Sorting Machine ?